You should know that I LOVE Paperchase with its bright colours, funky patterns and cute animals. 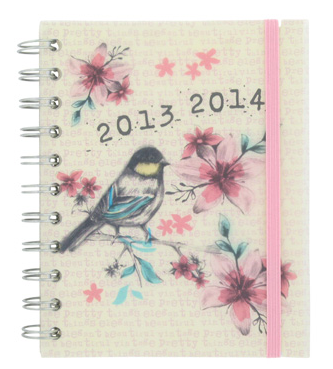 Once again paperchase have produced a fantastic new range of mid-year diaries. The main theme is nature – with plenty of cute animals and plants featuring in this years collection. Their mid-year diaries include student essentials such as timetable pages as well as the standard diary.